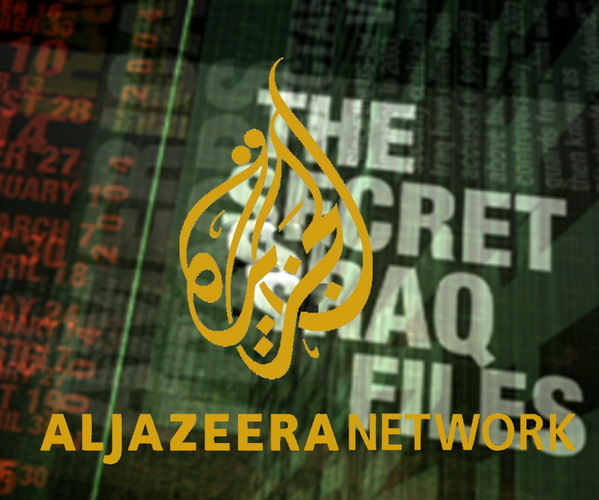 In a special report, Al Jazeera’s English News channel is now broadcasting findings for what they describe as their “analysis of 10,000’s of Wikileaks documents” related to the Iraq war. The report which broke the Wikileaks embargo by 30min according to Wikileaks is now being aired for viewers to see online, (live English stream here, or if you know Arabic check it out here). We must stress that some of the video scenes and images are not suitable for children or the weak of heart. The reports initially mentioned some sort of agreement between The Bureau of Investigative Journalism (the coordinating entity between Wikileaks and the major news networks) to withhold names of most informants, officials, and some individuals mentioned in the documents for the sake of preserving human life which could be at risk otherwise. Our sources inside Al Jazeera mentioned that some of these 400,000 documents will be posted for public access on the Al Jazeera network. The release of documents come as a surprise to the public as Wikileaks stated on their twitter account that the documents would be released on the 23rd of October in London. The documents reportedly shed light on everything from sectarian violence and the Iraqi government’s direct involvement in it. The sheer amount and nature of the information included in the logs added up to nearly 391,000 documents and about 38 million words are expected to cause serious turmoil in the already unstable Iraq you can get a more in depth analysis of from Nick Davies of the Guardian. Update 1: Most major networks have joined the Wikileaks document release all named in the above Wikileaks tweet. Update 2: Al Jazeera have all grouped all information regarding the Wikileaks documents in a section titled ‘The Secret Iraq Files‘ including an interactive map with a timeline showing Roadside Bombs, Checkpoint Deaths, and Assassinations drawn from the released documents. Update 3: All reports may be searched and accessed through the following links: WarDiary and WarLogs.